Do you have trouble getting your child dressed in the morning? What about having them brush their teeth before bed? Even simple tasks such as washing hands can seem like climbing Mt. Everest with children! There IS hope. We are always teaching children routines - it is how they learn to tell time, gives them a sense of security and helps them develop self-discipline. When we keep to a daily routine, the day just flows better because the children know what to expect. They may not know what art project we will do today, but they know when it’s art time. The same concept applies at home - when you have the same routine each day, the process just flows. 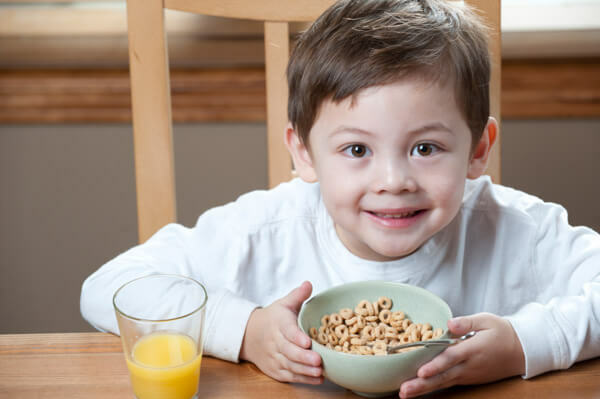 With consistency, you will find your child is more cooperative and willing to do simple tasks. In time, these routines will become a habit to your child and you will experience less friction and frustration. Who wouldn’t want that? It’s hard to establish and teach routines to your children when your day starts by mumbling "Have you seen my keys?" to your spouse. (Smile. Help is on the way.) Linked below are two checklists for you to use as your guide – ‘Things to do in the Morning’ and ‘Things to do at Night’. 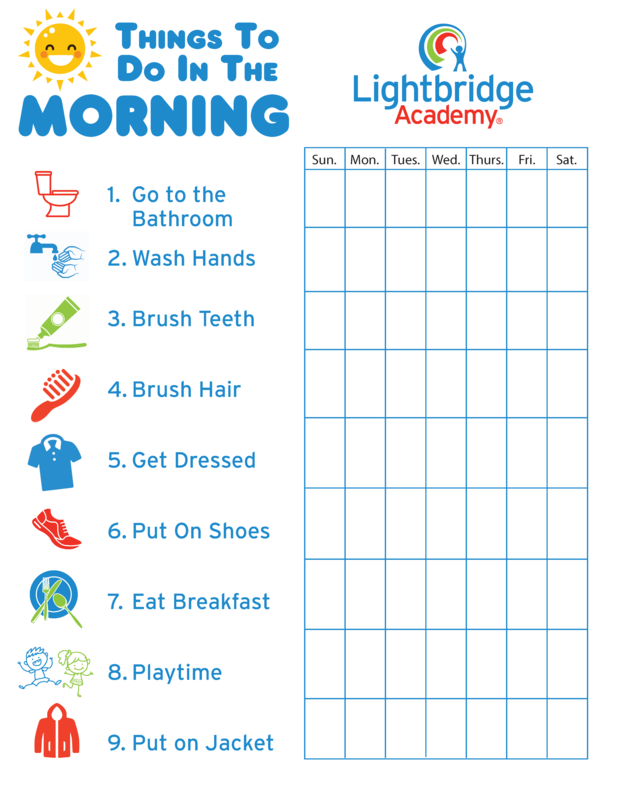 As your little one completes each task on the chart, they can put an ‘X’ in the box for that day and you will start a new chart at the beginning of each week. As they complete each task, they will increase their ability to be independent and achieve set goals. Establishing routines for preschoolers and toddlers that actually work may seem like a daunting task, but the results will be well worth it! We wish you easy mornings and care free evenings! Click here to download the Things to do in the Morning checklist. 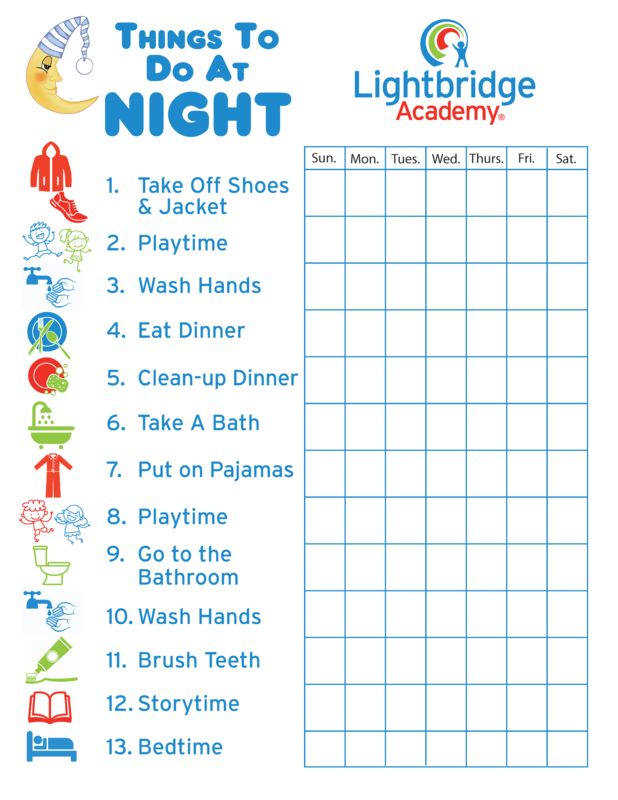 Click here to download the Things to do at Night checklist. Get updates when new submissions are made to the Lightbridge Academy Blog. Tips for Toilet Training Success !